FRISCO, TX. (August 2016) – Over the past 17 years, our people at NT Logistics have dedicated their time and energy to providing excellent and dependable customer service. Working with incredible carriers, who reflect this same commitment for quality service, adds tremendous value to NT Logistics. We love honoring our incredible carriers for their great service and excellent professionalism they show every day. 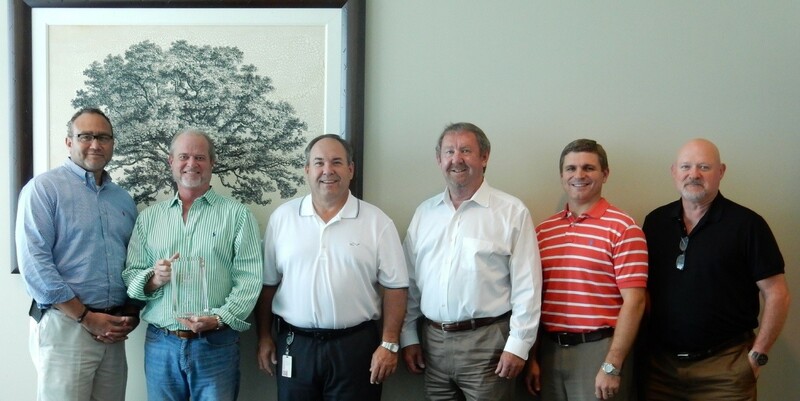 It is our pleasure to present this Second Quarter Carrier Award to Southern Refrigerated Transport from our Dedicated Division. Thank you to everyone at Southern Refrigerated Transport for your excellent service and dependability. You are greatly appreciated and we look forward to continuing our valuable working relationship. Since our beginning, it has always been a pleasure for NT Logistics to recognize the dedication and commitment from the many great carriers that play such a vital role in our company’s impeccable service levels. The great service, commitment, and dedication of our carriers are prevalent throughout our business. It is a pleasure to recognize extraordinary providers with Carrier Awards. We are honored to work with such a great carrier. We look forward to honoring more of our excellent carriers in the near future. Last week, another valued team member of NT Logistics, Shaunda Jenkins, earned her CTB certification. Her dedication and hard work toward this exam is exemplary of her every day performance at NT. Congratulations to Shaunda on this incredible accomplishment! She is just one out of our many valued team members here at NT. We are so proud and honored to have Shaunda as a part of our team. Third Consecutive Year NT Logistics Receives Customer Service of the Year Award! 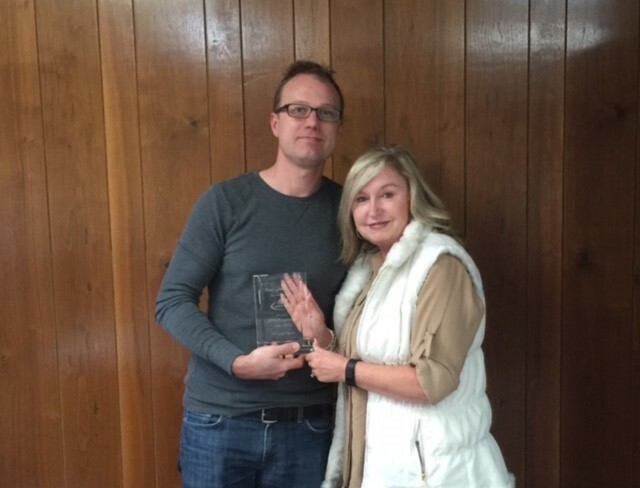 FRISCO, Texas (February 19, 2016) – Albert Einstein once said, “Strive not to be a success, but rather to be of value.” Since the beginning, NT has strived to consistently and relentlessly add value to our customers. 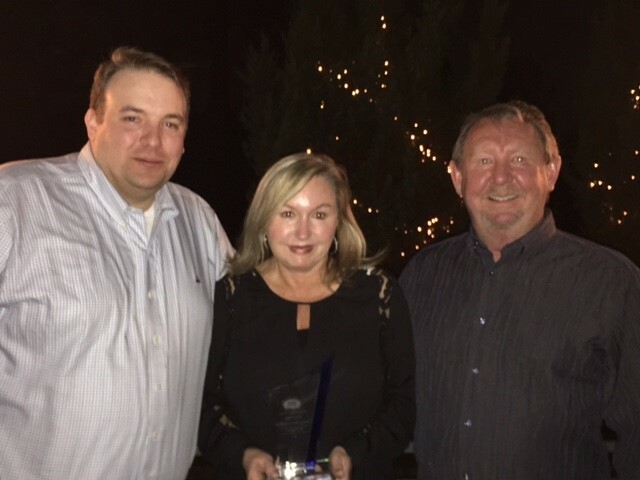 We are greatly honored to receive Nestlé Waters North America’s Customer Service of the Year Award for the Southwest Region for a third year in a row! Nestlé Waters North America is the nation’s largest bottled water company and has been a valued customer for over 10 years. From left to right: Tony Davis, Jan Pope, and Bob Pope. In early December of 2015, Sasha Figueroa, one of the many valued team members of NT Logistics completed her Certified Transportation Brokers (CTB) exam through TIA®. After much hard work and dedication, Sasha officially earned her CTB designation. Congratulations to Sasha Figueroa, CTB on this great accomplishment! Ms. Figueroa is paving the way as two more of our valued team members are preparing for the next exam in March of this year. Jan Pope, General Manager of NT Logistics Brokerage Division was quoted “…I am so proud of Sasha and all the hard work required of her in order to earn this distinction, Sasha is truly a great example of the leadership that is cultivating in our organization”. In the December 2015 edition of The Logistics Journal, Lynn Gravley, CEO and President of NT Logistics, shared his knowledge about building lasting relationships with shippers in an ever changing environment. He explained, “Sticky relationships are critical for successful 3PL and brokerage businesses and can be developed using a variety of measures designed to add value for your customers.” Click here to read Lynn’s full article, published by the Transportation Intermediaries Association.